This survey was conducted to investigate the Christmas shopping behavior of European Christmas shoppers by asking if they would put money into a separate account on a regular basis to pay for Christmas costs. 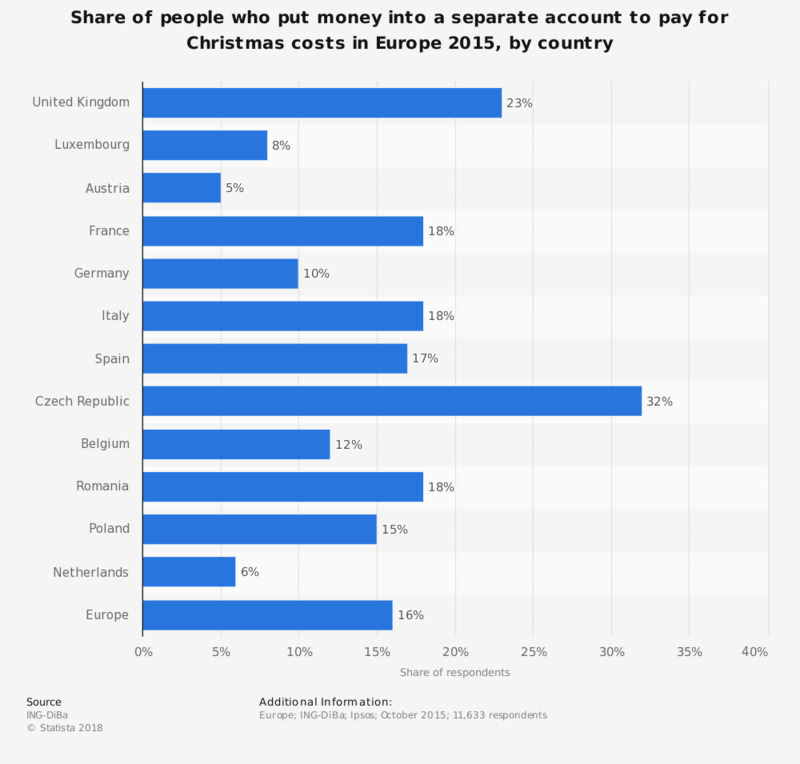 Stratified by country, the Czech Republic showed the highest share of respondents, agreeing to put money into a savings account for Christmas, accounting for 32 percent. The United Kingdom (UK) was ranked second with a share of 23 percent.